Ayr-based Sinclair Scott has become only the second firm of Chartered Accountants in the whole of Ayrshire to be officially authorised by the Institute of Chartered Accountants of Scotland (ICAS) as an Authorised Training Office (ATO). ATO authorisation will allow Sinclair Scott to train students to gain the CA qualification. Sinclair Scott partner Stephen Wilkie commented: “We have already taken on a CA student, Lucy Hunter, 24, from a Glasgow firm, and if she passes her exams she will be a qualified CA this time next year. “We were very keen to gain ATO authorisation and to be able to take on CA students like Lucy, as we feel they will provide excellent support for our other qualified staff. The Institute of Chartered Accountants of Scotland (ICAS) is the world’s first professional body of accountants, receiving its Royal Charter in 1854. It was the first to adopt the designation “Chartered Accountant” and the designatory letters “CA“, a qualification which is recognised worldwide. 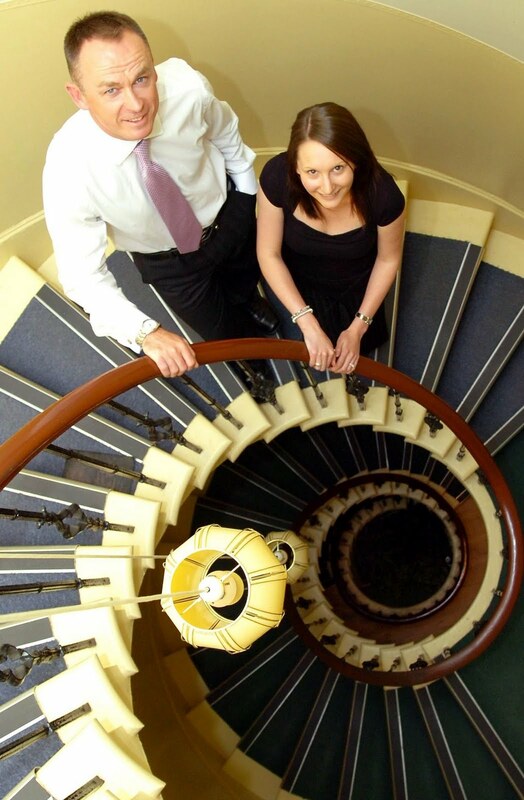 The Sinclair Scott accountancy practice was formed by a merger between the two firms of chartered accountants Alfred T. Scott and Sinclair Maclean. Sinclair Scott is built on the reputation and strengths of the founder firms whose history dates back over 100 years. It is committed to providing excellent advice and first class service to its business and personal clients alike. It has many clients in the local community and service businesses, small and large, across many sectors including agriculture, the professions, the service sector, the construction industry, manufacturers and retailers. As well as general accountancy, audit and tax skills, its partners also have individual specialist skills which enables Sinclair Scott to provide clients with a first class service as and when required. With a wealth of experience the firm prides itself on delivering an unparalleled service to all clients, what ever their size or sector. In addition to traditional auditing, accounting and tax services Sinclair Scott also provides advice on how to improve and develop your business. Whether clients need an integrated business strategy, access to corporate finance or specialist tax advice Sinclair Scott are there to help them to achieve their goals. Sinclair Scott Chartered Accountants are founder members of the Elite Ayrshire Business Circle. There are currently 706 Ayrshire business stories permanently archived on this site. To locate those of most interest to you, please use the site search facility in the top left hand corner of this page. Type your search term in the white box, then click the magnifying glass symbol.